America’s economic apartheid is killing Black people at alarming rates. 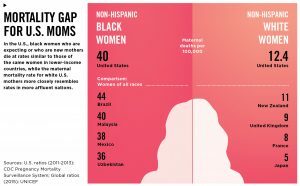 AFRICANGLOBE – There is, unfortunately, an indisputable truth in America: that Black mothers, and their babies, die at a staggering rate during childbirth. When compared to their white counterparts, even across class lines, the difference is shocking.